APPLICATION YOU REQUIRE, OWN MOULDING, OWN GRAPHICS IN 3D OR 2D, OWN TOOLING, OWN MACHINES, sailicone rubber injection with 2 colours as in a tape measure or level ----NO MINIMUMS. 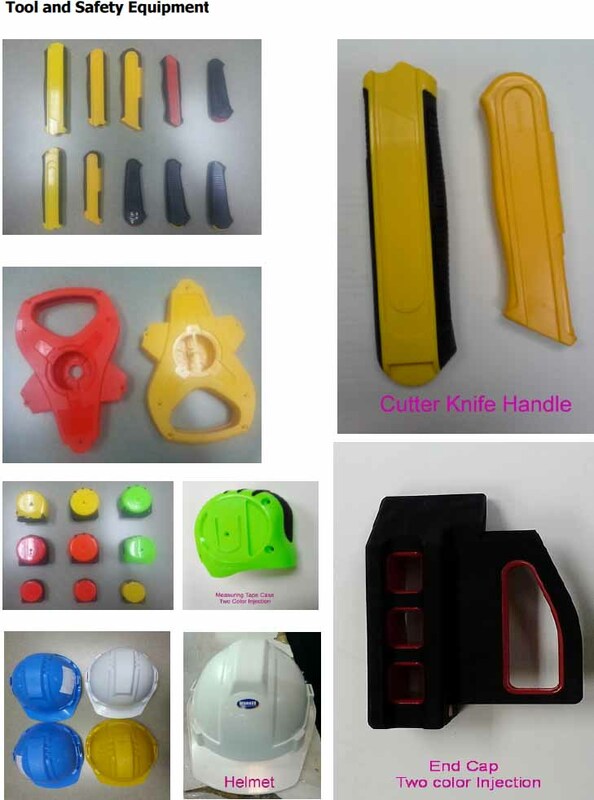 BANGKOKTRADERS has the factory for you for double injection molding and mould making, okus tooling and we can make double colour. Double Injection can inject two colors or two different materials (ex: ABS and Rubber) in the same mold and process. It means the cost saving is great as its a single operation automatically and presents an excellent base for safety of plastic plus appearance.. 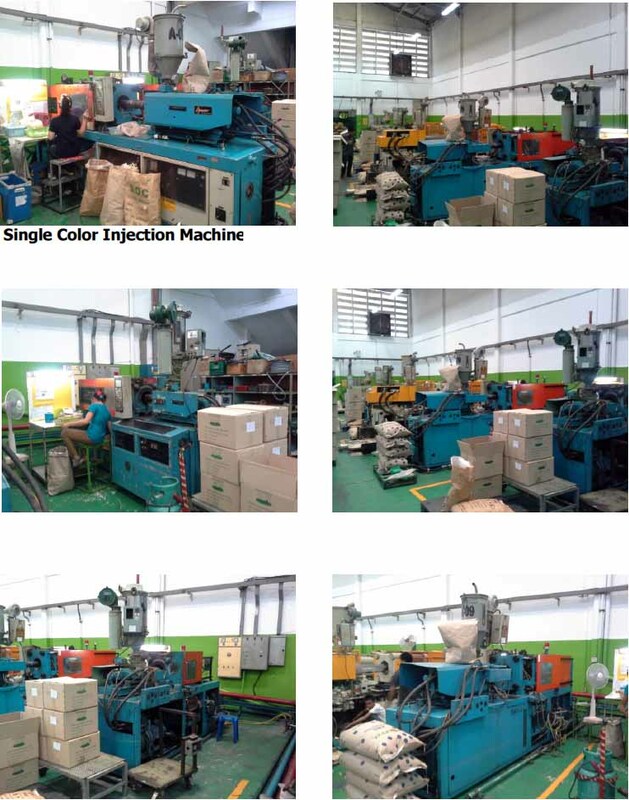 Double injection molding or 2-shot molding combines two plastic materials injected into the mold to form a single part with two visible colors. This process allows colored lettering or graphics or just a decorative and stylish appearance to your part. We do have our own graphic screens for chrome painted plastics eg our Hennessey Cognac range. This is your ONE STOP turnkey offshore outsourcing website based in Thailand, Taiwan & China. Bangkok Traders can cater to your varying needs in the field of technology, plastics, metals, machinery and designwork from wood to metals. We outsource offshore for companies in both Thailand, Taiwan and China. 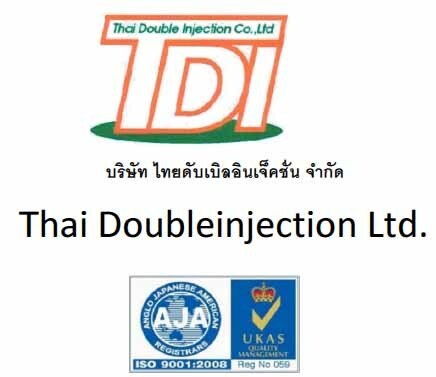 We are a western/Thai Company & present clients we represent are in US, NZ, Australia, Russia UK, Ireland, Germany, Singapore and the Middle East and we have delivered excellent results to our customers. We are based in Thailand & China with representation in Taiwan and can provide extremely cost-effective outsourcing offshore for product lines. Why Outsource offshore in China, Taiwan and Thailand? We have a natural resource with abundant technically skilled manpower, low costs, labour & government stability, a proven record of quality control & the main thing the cost factor to you. We are the worlds fastest growing offshore outsourcing countries and can have anything made for you whatever your company is seeking at a fraction of the costs back home. Our company has been exporting for over 25 years and we prize ourselves on client satisfaction. Thailand offers you English speaking foreign outsourcing expertise. Whatever you want we can make it. - Wide gap between personnel costs in China and Thailand and developed countries. - Work practices comply with ISO standards. - Quality standards meet the approval of the world & stable political environment and pro-export government. - Reliable satellite and good broadband connectivity with the rest of the world. - Reliable labour supply at a fraction of the costs of the west. We provide a creative array of solutions from 'concept to implementation' and whatever you need then we can supply. From turnkey manufacturing of clothing, handicrafts to precise engineering like car auto parts and accessory lines, motorcycle parts, aircraft engineering componants, plastics from roto molding to injection and double injection molding, alloys and steel structural fabrication for earthquake countries, all types of engineering, fabrication, lathe & specialist inventions.  We prefer to facilitate long term relationships and supply on a monthly or yearly basis for overseas companies. We can ship 20-30 FCLs per month or more depending on what you the customer wants. WE EXPORT: SHIPPING, DOCUMENTATION, SOURCING FOR FOREIGN COMPANIES & Full (FCL) containers to roll on roll off cars to machinery sales worldwide. We are an old Asia established company that started onboard before Google---- came on steam & still trading--- this time in middle currency--crypto. Want to know more then ask us.